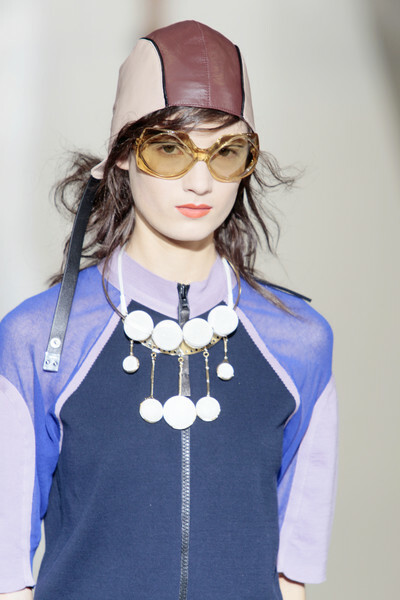 Marni mixed athletic wear with her typical contemporary style into a streamlined, colorful collection with slim sportpants, collarless jackets and mini-dresses as the centerpieces of the collection. Short dustcoats in leather were perforated, minidresses were made of macrame-lace or embellished with embroidered 3D applications. Nearly every outfit was a mix of layers. The silhouet was slim but structured. Colors moved from blue, white and green to pink, orange and yellow. Colorblocking, contrasting stripes in black, diagonally striped motifs and psychedelic flowerprints added an upbeat touch to the collection. 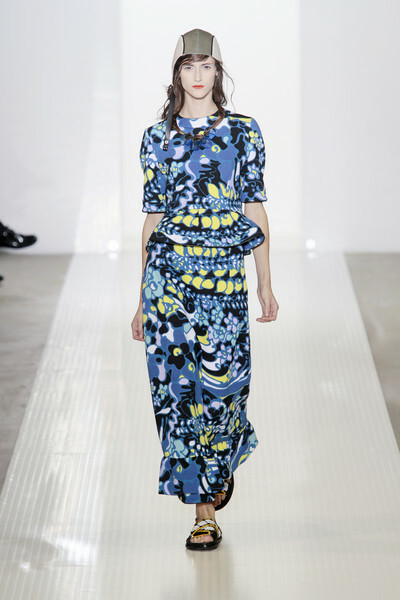 The stiff techno fabrics for mini-dresses and cropped pants sometimes reminded of the Sixties space-style, while the long dresses in hallucinating prints reminded of the Seventies. 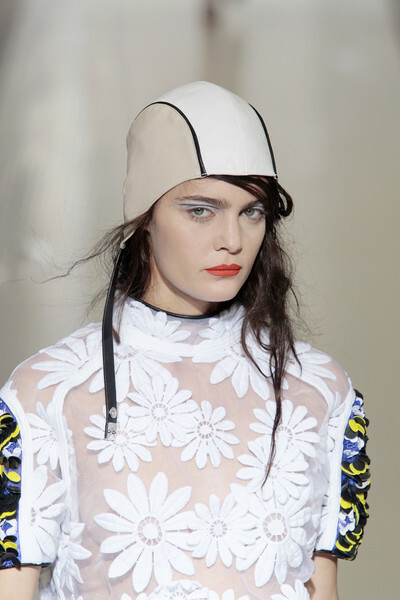 This was not one of Marni’ best collections, maybe because she suggested too much. But sport is defenitely back in fashion.